Book Three: Paks the warrior must learn to live with Paks the human. 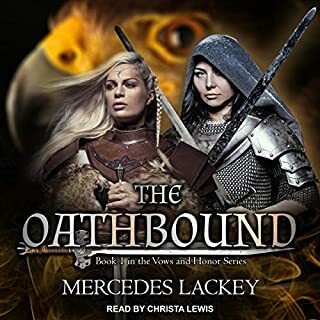 She undertakes a holy quest for a lost elven prince that brings the gods' wrath down on her and tests her very limits. 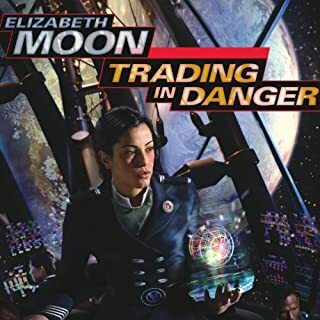 ©2010 Elizabeth Moon (P)2010 Audible, Inc.
loved this book, have read it many times and always gives me goose bumps. the reading was well done. I think the reader really does the book credit. an excellent finish for the story of paks. Add Paksenarrion (an elfin name) to the pantheon of my heroes. 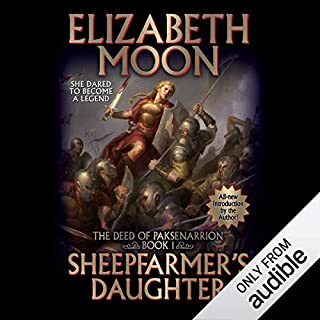 In my review of Sheep Farmer's Daughter, Book 1 of The trilogy Deed Of Paksenarrion, I marveled at Moon's treatment of military issues and her integration of men and women in positions of leadership and of lesser rank. As I read the trilogy, Paks grew on me. I still feel that more character development a la George R. R. Martin and Terry Goodkind, would have fmade the trilogy a richer experience. This said, the trilogy is all about Paks, a remarkably human hero. I was in continual suspense about her fate until near the very end. But Moon does not kill off characters as Martin does. 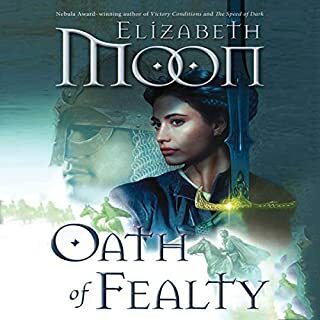 Instead, Moon wraps a gripping and at times spell binding tale around the development of her lead character, Paksenarrion Dorfan's Daughter. A well done first trilogy, in my opinion I am richer for having read it. This tale has a true epic ending. In some was Paksenarrion may be the best example of a Paladin I've ever had the luck to read of in any Fantasy tale. This story should not be missed. By all account this is the most exciting of the books. There is more growth of all the characters an enough fighting and intrigue to keep you interested. I would recommend. By the end of Divided Allegiance, Paksenarrion had become afraid of just about everything. The healing that the Gird Marshals evoked upon Paks rid her of the taint, but took away her courage. In this book, Paks gains further healing from Master Oakhallow and is finally able to continue her calling. Now she understands what it is like to be literally scared stiff. Her trials give her new compassion and strength. She receives a red Paladin horse from the gods and he seems to sometimes direct her quests. 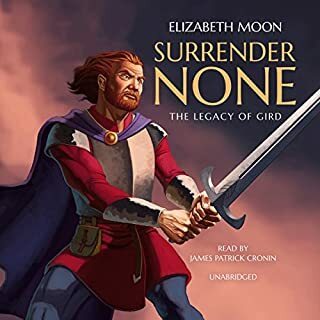 Paks discovers the true heir King to Lyonya, makes an ultimate sacrifice that she amazingly survives and makes sure the Lyonyan king is able to be accepted to rule. 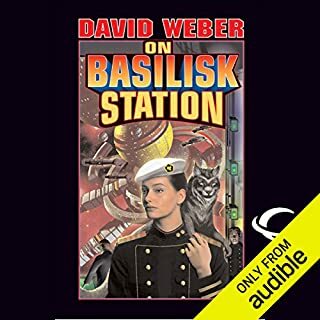 I have enjoyed the three audio books that are "The Deed of Paksenarrion." 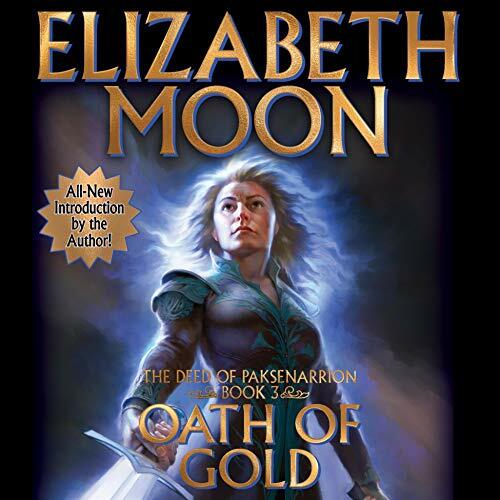 Sheepfarmer's Daughter, Divided Allegiance, and Oath of Gold. Jennifer Van Dyck has brought life to the books that have been our family favorites since they were released in 1988 and '89. Fans of fantasy genre should thoroughly enjoy the Paksenarrion books. If you are looking for good to triumph over evil, this is the place that has it. One of my all time favorites as well as all the Paks novels. Required reading for my children. Decent. Nothing flashy, old school fantasy. The main character is interesting enough. Some of the themes are a little basic and many of the characters are uncomplicated, but that's what makes this a fun read. The story is a little forced but overall it's enjoyable to see the good guys/gals win by not compromising themselves. it is a good book and a great series. although I enjoyed the first book the most. I was very happy with the entire performance. will be getting the rest! very much enjoyed the whole trilogy to this point.